Dimensions 48.0 In. X 20.0 In. X 4.0 In. Great Body Pillow. I have been shopping around for a body pillow that supports my back when laying on my side. 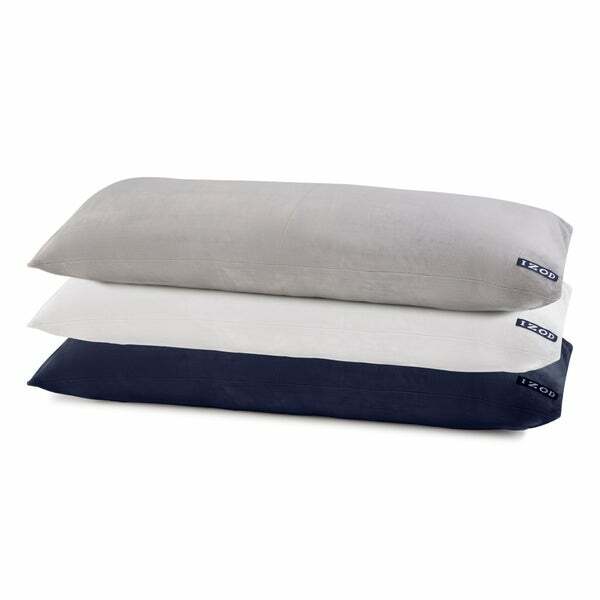 I read the reviews and notice several of them stating how well this pillow supports their back. And it does just that. Will be ordering a second pillow for a friend, because they like it as well. We love these pillows they are the perfect size my husband and myself both have back problems and have to sleep propped and change from side to side through the night so they are long enough to prop our arm shoulders and leg with using only one pillow , I use a body pillow case on them to protect them we would highly recommend them to anyone that has to sleep in a propt position. Absolututely wonderful body pillow. I was having so many aches and pains before coming to overtook and purchasing this body pillow. It is so soft and supportive. Makes a world of difference. I get up now able to move much better and get out of the bed way faster than before. Love this pillow! I plan to buy more! Thank you overstock! I love, love my plush body pillow. I bought it in gray. It is an awesome pillow. I’m thinking about purchasing another one in a black. I am definitely glad I purchased this pillow. Love Overstock!! Awesome! Fully Stuffed,nice material quality. Its like 2 body pillows in one. 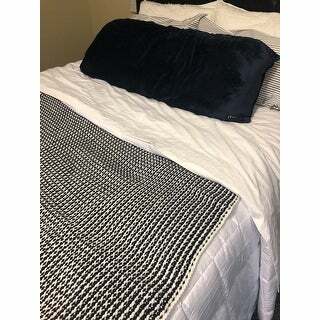 Like the Navy color choice,goes with other IZOD Sheets etc. Comfy pillow. Very soft and plush! Soft comfortable wish I had space for another one best body pillow ever ! I bought 2 of these. One had more batting than the other. The fuller one was nicer -- the other one feels a little underfilled. The material of the pillow case is super soft. Good enough-- not worth trying to return the underfilled one. Very comfortable pillow. My son sleeps with it every night. Not as pictured! Poor quality!!!! Super soft and comfy. Love it. Especially my cats love it. I wake up with them on top of it and me pushed over next to hubby. Oh well. Lumpy, bumpy and too soft to be much good--except maybe for a dachshund. You get what you pay for most of the time. MY DAUGHTER SLEEPS WITH THIS EVERY NIGHT!! For my daughter's new bed, looks soft and cozy.